A few notes: In this recipe, I used shelf-stable coconut milk and also tested it with refrigerated coconut milk (I like the So Delicious and Coconut Dream brands best). 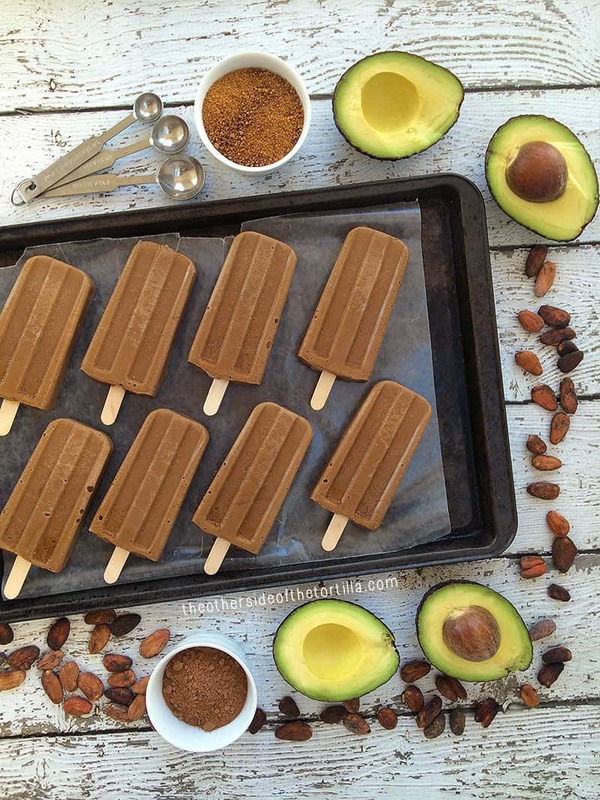 Its consistency is a bit thinner than the canned light coconut milk called for in my avocado paletas and it has less fat. Make sure that whichever brand you use, that it’s unsweetened but not sugar-free (the sugar-free one is still sweetened, but with stevia, which is considered a natural sugar substitute). I personally do not like the flavor of the sugar-free coconut milk with the stevia, so I normally purchase original unsweetened or unsweetened vanilla-flavored coconut milk if I want it to have a little more depth. You can absolutely substitute the unsweetened vanilla-flavored coconut milk in this recipe if you like. 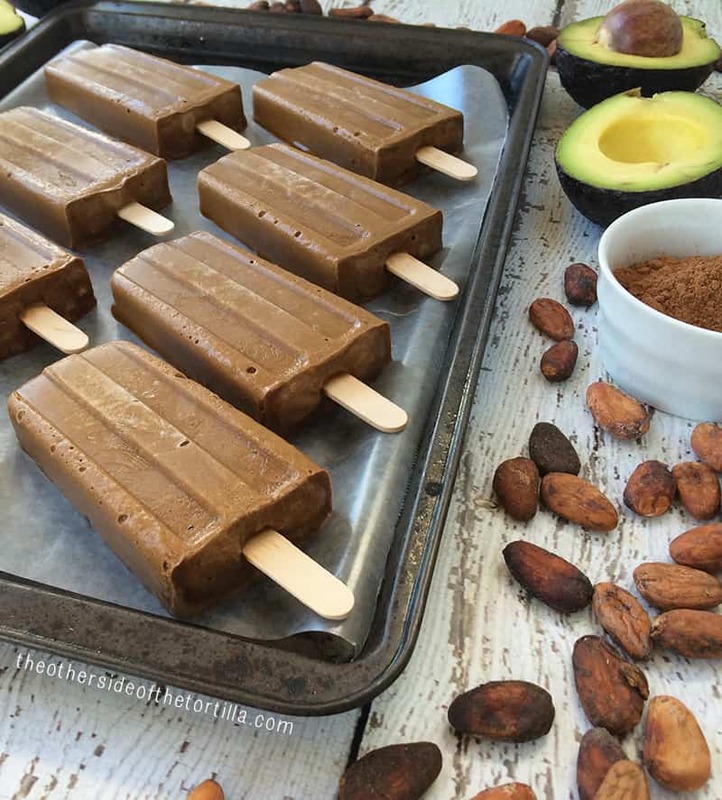 Avocado gives a silky, creamy base to these fudge-flavored popsicles that are vegan-friendly. In a blender or food processor, add ingredients in this order: coconut milk, avocado, coconut sugar and raw cacao powder. Blend until completely smooth. Scrape down sides if necessary with a spatula. Pour into popsicle molds, add sticks and freeze 8 hours or overnight. To remove from mold, turn the mold sideways and run lukewarm water from the faucet over the tips of the popsicle molds for a minute. They should slide out easily without melting. Cook time listed is for time in the freezer. I make something similar for my son – these look even easier. Trying these for my next batch! I am wondering on the 9oz of avocado: is that 9 fluid ounces (mashed in a liquid measuring cup)? Or 9oz by weight on my kitchen scale? Hi Sara, thanks for your question. The avocado portion is by weight, not fluid ounces. Typically, you can assume ounces means weight unless you are working with a liquid ingredient or it specifically states fluid ounces. I’ve amended the recipe to make that more clear that this is weighted ounces. Appreciate you stopping by!